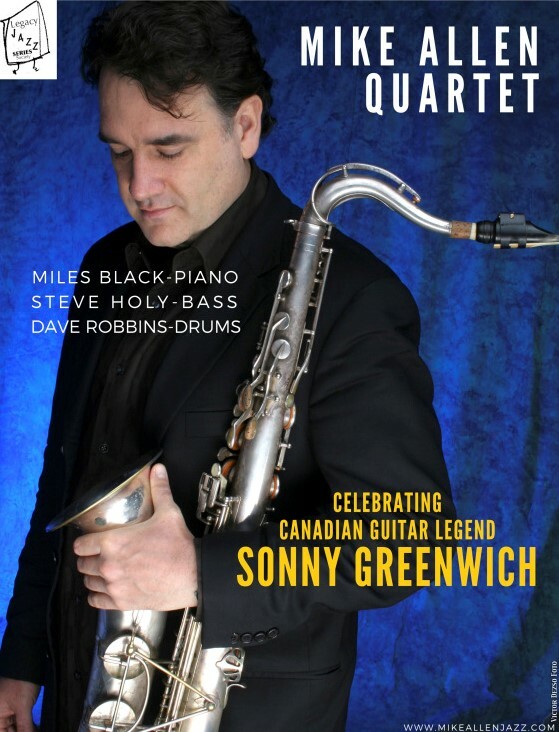 Mike Allen Quartet "Sonny Greenwich Tribute"
We are incredibly fortunate to have booked the Mike Allen Quartet as part of their tour of BC and Alberta showcasing their upcoming CD release “Celebrating Sonny Greenwich”. Mike was a member of Sonny Greenwich’s group in the 1990s, recording two albums and performing sold-out shows in Montreal and Toronto. Sonny continues to be a primary source of inspiration for both his unparalleled improvisations and his wonderful compositions.